Kaiser Health News provides a fresh take on health policy developments with "Ready For My Closeup?" by Lisa Benson. If you have a health policy haiku to share, please send it to us at http://www.kaiserhealthnews.org/ContactUs.aspx and let us know if you want to include your name. Keep in mind that we give extra points if you link back to a KHN original story. No one seemed to be aging in place Tuesday at the Customers Bank Senior Expo, where people hustled in crowded vendor aisles, moved to the music of Elvis or took the measure of Medicare and its changes. The all-day expo benefited Berks Encore, the senior service agency, and featured flu shots, health screenings, nutrition lectures, a fashion show, skating exhibition, senior art show, shopping tips and more than 130 vendors. The event was held at the Body Zone Sports and Wellness Center, Spring Township, and attracted about 3,350 seniors. While the attendance number dropped from the estimated 4,000 figure at last year's event, it appeared many seniors were more intent on finding specific information about health and fitness, nutrition, medical care and senior living options. "This is the third year I've been here and I think it's great for all the older people," said Bette Fisher, 77, of Exeter Township. "I don't have any medical problems, but I do pick up all the literature." "I come to look at all the health treatment possibilities," said Evelyn Kuter, 70, of Boyertown. "You need to get different views (on health matters) because the doctor is not a god anymore." More seniors, particularly in their late 60s and 70s, stressed that they wanted to be educated on options available to them in all areas affecting their life. Calling for more chairs for seniors at an afternoon session on Medicare changes, John Vogel, a trained Medicare specialist and Berks Encore volunteer, drew an audience of nearly 100 people, some of them torn between listening to him, but not wanting to miss a later performance of Jeff Krick, an Elvis impersonator. "You know there has been an Elvis sighting," yelled one audience member to Vogel. "They'll be back, they always come back," said Vogel, noticing a few seniors who stepped inside the door only to turn around and leave. For some seniors, the Senior Expo was a completely new experience, but they trumpeted the convenience of being there. "This is my first time here, and it's very nice," said Carl Bechtel, 70, a retired carpenter who worked for casket and organ businesses. "It's really good to have everything in one place." "This is huge I didn't think it would be this big," said another first-timer, Theresa Kazmierczak, 77, of Reading, a retired office clerk. "That's why I'm sitting down. I'm tired." One of the more popular events involved several talks and cooking demonstrations by Meredith Mensinger, Redner's Warehouse Markets dietician, showing seniors how to shop economically and stick to a dietary plan without feeling restricted or deprived. She whipped up three recipes - turkey burgers, chicken chili and tortilla soup - before an audience of about 40. "I call it assembling, not really cooking," Mensinger quipped. "But I feel a lot of seniors are just overwhelmed with all the information floating out there," said Mensinger, a Redner's nutritionist for four years. "I used to work in a hospital, but this is a way to reach seniors every day." And 72-year-old Barbara Shalters of Wernersville, sitting in Mensinger's audience, spoke up on her behalf. Diagnosed last spring with celiac disease - a faulty absorption of gluten in the intestine - Shalters said she called Redner's and Mensinger offered to take her on a tour to show her the foods she should be eating and avoiding. "She was absolutely wonderful, and that's the kind of help we really need whether the problem is diabetes, heart disease or obesity," Shalters said. With food prices significantly rising, more New Jerseyians are feeling the pinch in their pocketbook as they visit the local grocery store or restaurant. But the American Heart Association stresses that eating healthy needs to remain a priority in order to live longer, stronger lives-- and can actually save you money in the long run. Limit red meat in favor of healthier and less expensive sources of protein. Fish, like tuna, has omega 3 fatty acids that are good for the heart. Nuts and beans have a lot of protein as well, but make sure you review the salt content and eat appropriate portions since nuts tend to be high in fat. Enjoy frozen vegetables and fruit. They are just as satisfying, and typically just as healthy, as fresh produce. Just check the nutrition facts to confirm that no extra sugar or salt was added. Avoid eating out, as most restaurants come with extra large portions and extra large price tags. And options at fast food restaurants are typically loaded with excess fat, salt and sugar. Eat before you go shopping. Going to the grocery store on an empty stomach will leave you more likely to buy on impulse. And make sure to look for the Heart-Check Mark, which indicates the product has met the American Heart Association suggested nutritional guidelines. Grow a garden! Not only will you save on vegetables like cucumbers and tomatoes, but you'll stay active with this new hobby. And regular exercise is another important part of managing heart disease and stroke. Scout your local newspaper for coupons before you go shopping. It may cost $1-2 to purchase the Sunday paper, but your savings will likely exceed this amount. Shop for seasonal produce - fruits and veggies are less expensive during their peak growing times, and they're also tastier! Look for the generic brands. The ingredients are usually the same as the brand name versions, but they're much more affordable. Make your own pre-packaged snacks by buying a large container of raisins, nuts or pretzels and separating them into individual portions yourself. By checking the nutrition facts, you can gauge how many to eat at one time based on the fat, salt, and sugar content. Plan your meals each week. By planning ahead, you can check the nutrition facts of a meal before you decide to make it and create a detailed grocery list for easy shopping. Planning also helps avoid impulse shopping. "Some people think that the dollar menu at the local fast food joint is the best choice for their budget," notes William Tansey, III, MD, spokesperson for the American Heart Association and cardiologist with Summit Medical Group in Short Hills. "But the truth is that fast food-as well as processed food-is often high in calories, saturated fat and sodium and low in the important nutrients your body needs to function properly, which can lead to obesity-a major risk factor for cardiovascular diseases." Obesity is linked to high blood pressure, high cholesterol, diabetes, heart disease and stroke. The estimated annual cost of obesity-related diseases is $147 billion a year, which accounts for nearly 17 percent of medical spending in the United States, according to recent research done by John Cawley at Cornell University and Chad Meyerhoefer of Lehigh, indicating that the nation's weight problem may be having close to twice the impact on medical spending than previously estimated. Half of that cost is financed through Medicare and Medicaid. Millions of Americans are consuming too many empty and fat-laden calories and not exercising enough. And today's youth are becoming heavier at an alarming rate, with nearly 12 million children and adolescents ages two to 19 are considered obese. As these children grow older, they have a much greater risk of developing and dying from chronic diseases in adulthood. It was an emotional moment for R K Laxman. As the small congregation of family, friends and fans at his Pune apartment launched into a cheery chant of Happy Birthday To You and his granddaughter fed him a piece of his favourite Black Forest cake, the grand old man of Indian cartooning broke into sobs. He recovered his composure soon enough, but the tears were never too far away as the function held to celebrate his ninetieth birthday proceeded and speaker after speaker extolled him and his genius. In a rather apposite twist to the usual celebratory mode, Kailash Bhingare, the organiser of the event, had got seven cartoonists -Vikas Sabnis, S D Fadnis, Mangesh Tendulkar, Vijay Paradkar, Sanjay Mistri, Charuhas Pandit and Ravi Paranjpe-to draw cartoons of Laxman, which were then presented to him. Among the speakers, who included Laxman's wife Kamala and daughter-in law Usha, was Ram Jethmalani, who referred to himself (some might say appropriately) as a "sinner with a balance sheet full of debits" . "The only credit I have is that I have known Laxman for decades," he quipped amid laughter. "And one new credit I have notched up is that I am present at his ninetieth birthday function." Laxman sat through the proceedings , now calm, now tearyeyed . A frail shadow of his former self, there were, however, glimmers of the old persona when he peered curiously at the television channel mikes lined up on the table and once touched his forehead in a moment of exasperation. One almost expected him to expostulate , 'What is this nonsense, I say! ', a Laxman-ism regularly applied to very many situations in the days when he was a revered and slightly feared figure in the Times of India. But speech is impossible for him now-his second major stroke in June last year robbed him of it, and he has been unable to communicate verbally with anyone except his wife. Mrs Laxman, very emotional on this day herself, says that he does "talk" to her "but not before others" . But whatever his health setbacks , Laxman has forged ahead with uncommon courage. After his first stroke in 2003 which paralysed his left side, he resumed drawing in a day and his daily cartoon for this paper within a couple of months. The stroke he had last June was far more severe, but he has been drawing even after that, as a sketchbook full of ink drawings testifies. The once inimitable brushstrokes are, of course, weaker , but three of his favourite subjects-crows , Ganpatis and the Common Man-make their presence felt even today. His most favourite subjectpoliticians-seem to be missing from the sketchbook, but Laxman is still hooked to their shenanigans and goes through the newspaper every day, says Mrs Laxman. Now that he no longer draws cartoons , how does he react to the absurd theatre of Indian politics? "With a slap on the forehead," says Mrs Laxman wryly. "A gesture is worth a thousand words." Laxman's cartoons, needless to say, are sorely missed. The man who held readers in thrall for over six decades with his piquant wit and inimitable brushstrokes, was fondly remembered during a recent cataclysm in Indian politics. "During Anna Hazare's fast and his stand-off with the government, we got hundreds of calls from people ," says Mrs Laxman. "All of them had one thing to say: 'How we wish you were still cartooning!' "
That's a sentiment most of us share. Happy ninetieth birthday, Mr Laxman. This is with reference to Sami Shah’s article of July 28 titled “The Pakistanisation of lunacy”. Apart from the irony, occasional humour and touch of sarcasm in the article, what the writer is saying is generally true. And I say this notwithstanding that our so-called ‘Mullah Brigade’ likes to blame the rest of the world for all the problems that currently ail Pakistan. If the rest of the world equates Pakistan with terrorism and mayhem, it is for good reason and doesn’t mean that there is worldwide conspiracy to defame our good name, contrary to what our saviours in khaki would have us believe. Pakistan is reaping the harvest of the past 30 years or so of its cultivation of the forces of bigotry, doublespeak, intolerance and hypocrisy in all aspects of its existence: Religious, social, political as well as intellectual. Such is our infamy that whenever there is a lunatic who blows himself up in a foreign land, we wait anxiously, our fingers crossed, hoping that the perpetrator is not one of us. Our country accounts for more suicide bombings than Iraq or Afghanistan and has more than its fair share of sectarian and other hate crimes. We keep blowing up our schools so that our girls don’t get an education, keep silencing our moderates who preach tolerance and keep living in the false belief that the world is out to get us. The fact is that for most of the rest of the world, which in any case is moving ahead, we are not more than a headache that refuses to go away. Shame on all 180 million of us. Norwich are keeping tabs on Dagenham and Redbridge duo Romain Vincelot and Danny Green. Canaries boss Paul Lambert ran the rule over the Daggers' midfield pair in Tuesday night's defeat to Peterborough. 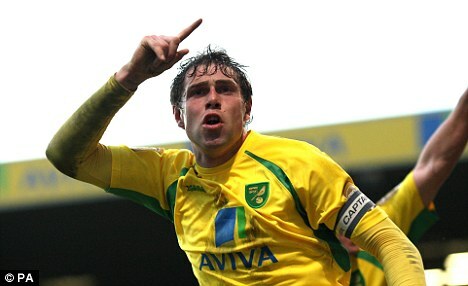 Meanwhile, Canaries' skipper Grant Holt has signed a new three deal at Carrow Road.